Treating the soil before the foundation is poured is still the best way to prevent termites from infesting your new home, office or any additions. 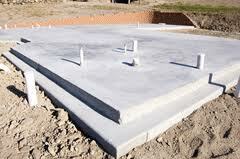 It is most effective because the soil under the planned foundation (in DFW it is typically a slab foundation) is treated with termite product just before the home or addition is built. Because the foundation is not yet poured, the applicator can be certain that the proper amount of termite product is being applied to all the soil under and around the planned foundation area. 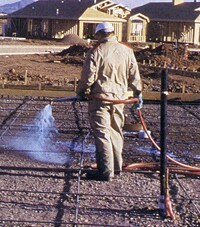 The result is a continuous treated area under the entire foundation or addition. After the construction is finished and the final grade is completed, the applicator should return to treat around the structure (all treatments must comply with the label on the particular product used). Because there is less labor involved with a Pre-Construction Treatment, most companies will charge you less than you would pay for a Post Construction treatment. In addition, you may decide to use a less expensive termite product since you can be confident that you will have complete coverage of the treated area and you are not trying to fight an existing infestation. Termites are very common in home additions because of the seam between the new and old foundations. Pre-treating any first floor addition is highly recommended because it is effective and it is typically very low in cost. If you are building a home, have the builder agree to remove wood debris (and paper garbage) from around the home before they grade for landscaping and drainage. Many homes have wood debris buried around the house which is a conducive condition for termites. New homes are susceptible to termites the same as existing homes. If you are planning to build a home and would like to discuss pre-construction termite treatments our technicians would be glad to answer your questions.